People, smells, seasons, fruits, colours, months all are liked or disliked by us perhaps for their behaviour, weather, taste or odor, but besides the aforementioned reasons all the above things are also given special importance or not, if they are connected to a memory in some way. My dear grandmother who was also a teacher by profession, was a strict disciplinarian all year round and insisted upon all her grandchildren giving utmost importance to their studies. The dawn of the summer vacation however dissolved her authoritative exterior and she made sure vacations were the best part of our childhood. Out came those neatly tucked in popsicle moulds, with a promise of cool freshly made mango kulfi’s that tasted like heaven, mostly because they were made with an entire can of condensed milk and big, ripe juicy saffron hued alphonso mangoes, but also because they were made with so much love, by our rosy cheeked granny. Years passed, and so did granny but her mango kulfis were never forgotten. As temperatures continue to sore here in Pune, I often remissness of days gone by, when all I had to do was watch cartoons and play with friends all day, As I ran off to a neighbours home post breakfast, I would call out to my granny on my way to make kulfi’s for me, only to reemerge hours later and open the refrigerator door for the millionth time to check if the kulfi’s had set. Making mango kulfi’s is not an ardorous task, however they taste best when prepared from fresh alphonso mangoes. Other varieties I'm saddened to report do not hold a candle to the uncrowned 'king' of the king of fruits. However as luck would have it alphonsoes are not freely available in our neighbourhood and a trip to the wholesale market is not always the most convenient of possibilities. The lack of a certain ingredient doesn't quite deter me from doing (making) something that I have set my heart on, hence a little bit of soul (read refrigerator) searching pointed towards half a consumed jar of homemade lemon curd and an unopened pack of coconut milk, two unrelated ingredients, that had good potential for a future together (Or so I hoped). Since popsicles were on my mind that day, popsies were what I then set out to make. Thankfully this rather odd combination yielded good results as the tart notes from the limes provided a smack of fresh juiciness that was accentuated by the smooth and nutty inclusion of the coconut milk, these frozen, on a stick, on a summer day..... Need I say more? Don't take my word for it though, Try it for yourself! In a bowl whisk together lemon curd and coconut milk. Taste and add sugar, honey or any other sweetener of choice. 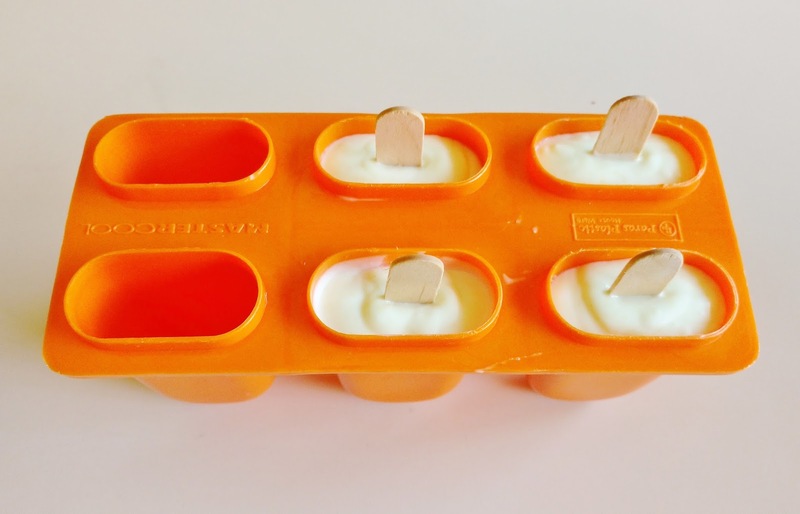 Pour into popsicle moulds and freeze for 6 - 8 hours. A rather oddball I threw you today, innit?, but what fun is there to a mundane existence if we don't experiment with different things. A change of taste, a change of texture an unexpected bend on a smooth highway. Did you experiment with food today? 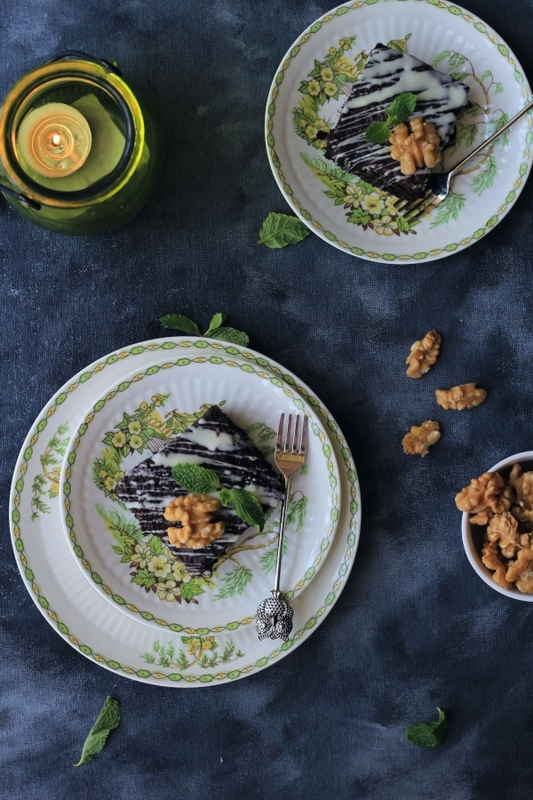 Have you set off on a new food adventure? Then tell us. Also do not forget to submit your own food adventures on #Foodventures by Axis Bank Dining Delights HERE! Coz you stand a chance to feature in a video with Chef Vikas Khanna and food critic Vir Sanghvi! A lovely lovely write up :) !! I guess we all have wonderful memories when it comes to our grannies. Great recipe too !